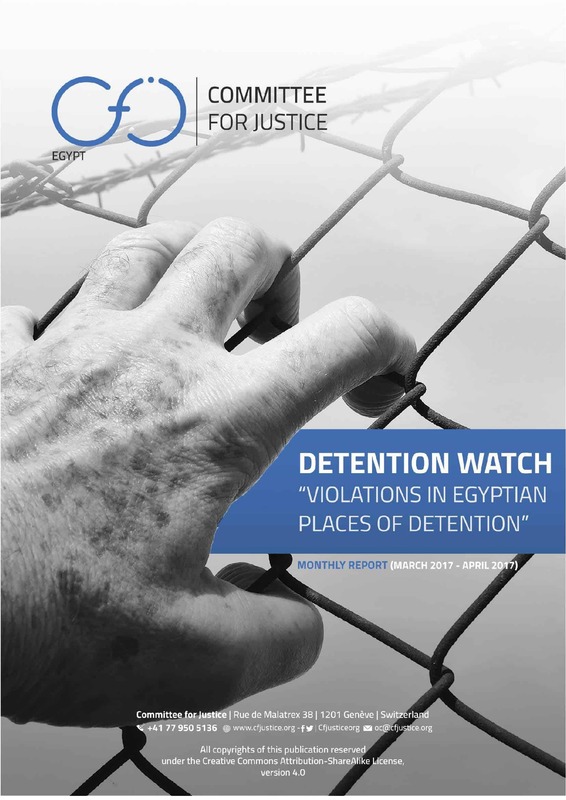 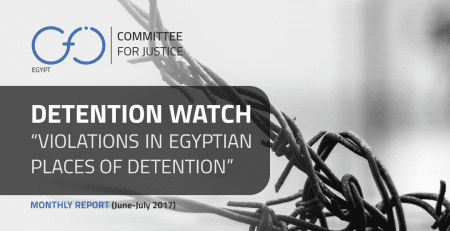 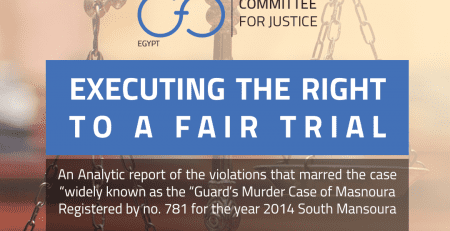 Following CfJ’s first two report on human rights violations against detainees in Egyptian detention places for the first two months of 2017 (January and February, March and April); Detention Watch project proceeds in this issue to provide an analytical overview of the human rights situation in Egyptian detention places – formal and informal – during the month of May 2017; while holding the authorities accountable of their obligations mandated by law (Egyptian constitution, Egyptian criminal law, and international human rights treaties Egypt has signed). 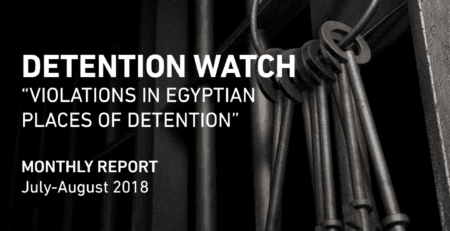 Tora Prison is the detention place with the highest number of violations reported across all of Egypt. 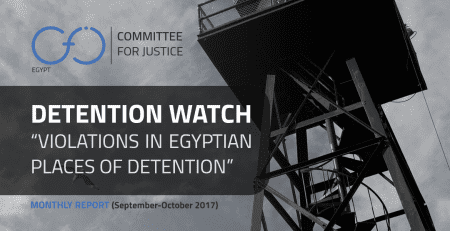 22% of the cases of medical negligence, torture and medical negligence leading to death violations took place inside Tora prison in May 2017.
records of mass violations were recorded where a number of victims inside the same detention place reported suffering ill-treatment in prisons such as Ataqa, Zagazig, Banha, Qena, Tora, ElHadra and AlAbaadeya. 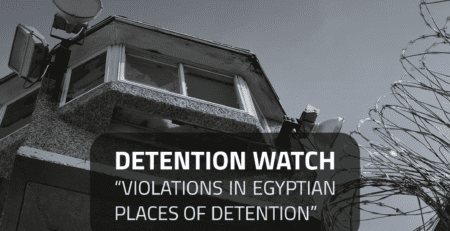 Geographically, Cairo governorate sets the highest records of violations, followed by ElMenoufia and Alexandria. 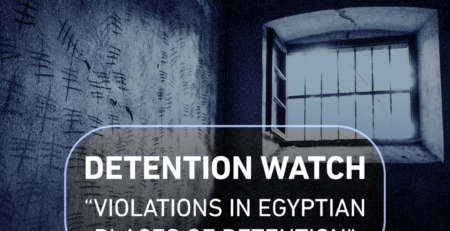 Detention places with highest records of violations can be viewed in the following order: Tora Prison (Cairo), then equally Borg AlArab Prison (Alexandria), AlAqrab (Cairo), State Security Premises in both Cairo and ElMenoufia. 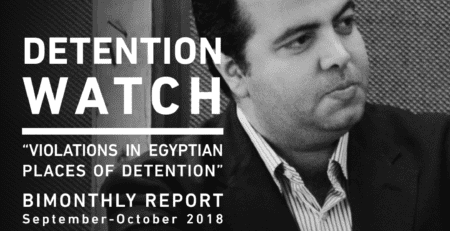 The average days spent under disappearance appears to be 28 days per detainee – average of one month. 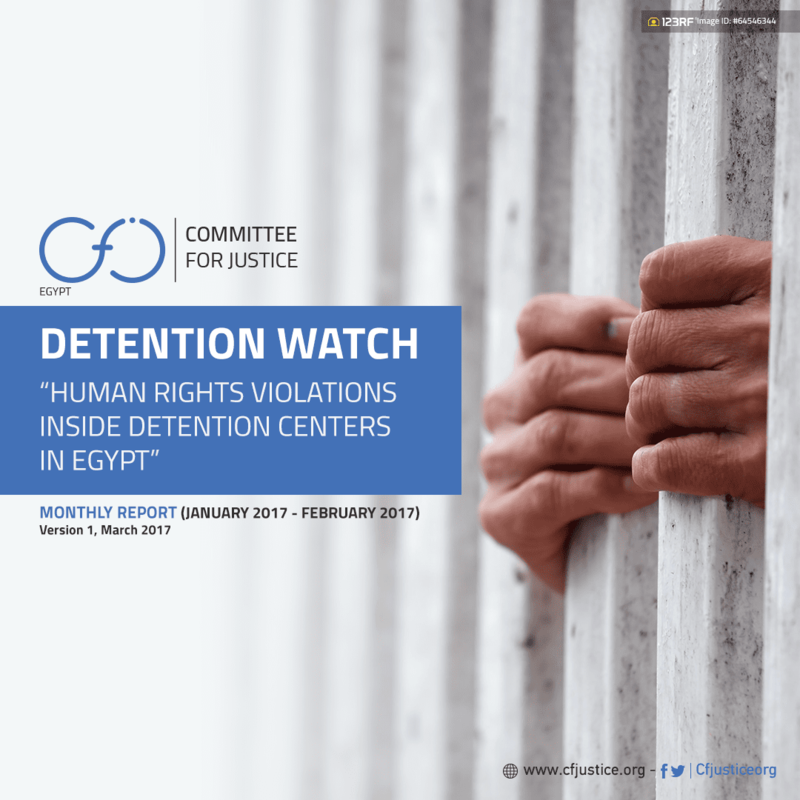 the most targeted age group (as in the last two reports) is youth during their teenage years and their twenties. 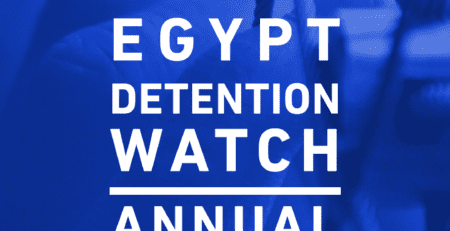 followed by the older generation (in their thirties and forties), and then last come the elderly (above 50 years of age).